1. 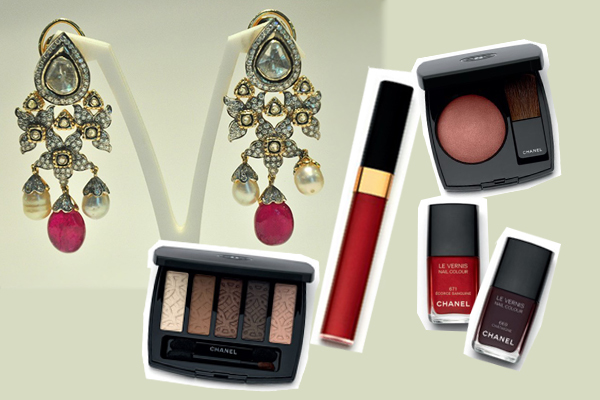 Chanel’s Les Autumnales make-up collection would complement these diamond and pearl earrings. We love the gentle touch of ruby and recommend a red lip stain, while putting the look together. 2. This heavy neck-piece is all the jewellery you need to amp up your style. 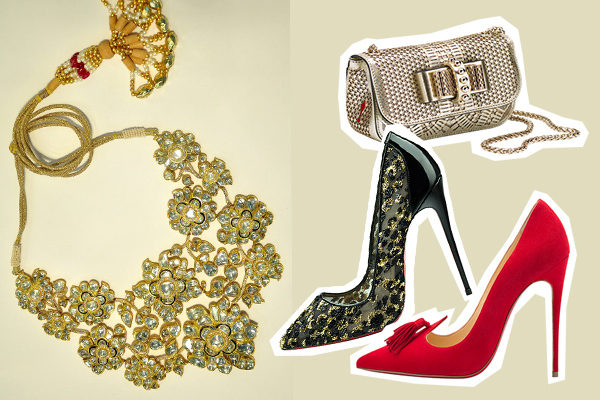 Team it with these India-inspired pumps from Christian Louboutin, and a metallic clutch. 3. Unleash your rebellious side at any bachelorette with this haath-phool, and wear it with your favourite LBD. 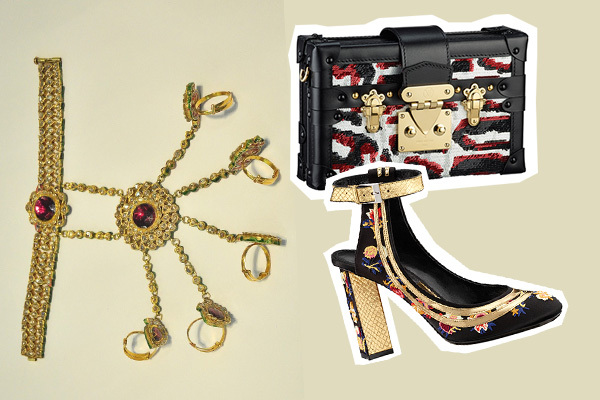 While you’re at it, these quirky pieces from Louis Vuitton make for excellent accompaniments. 4. Any function is incomplete without gold. 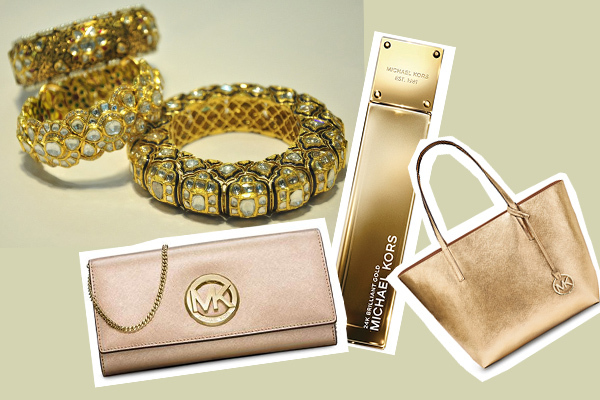 But If you’re not into OTT jewellery, pick one of these bangles, and work it with Michael Kors’ India exclusive clutch, or a tote. Don’t forget to spritz the MK Gold edition fragrance, for a little bit of drama. 5. The beautifully cut earrings are the obvious star of any look. 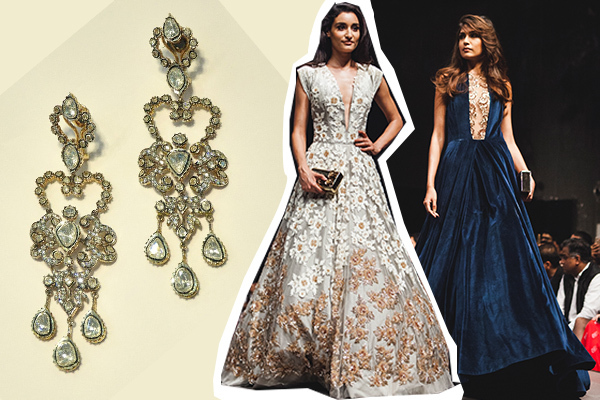 Team them with these monotone ensembles from Manish Malhotra, and show them who’s the true Bollywood bride!